What's one of the best parts about living in hip, urban areas like DTLA? The entertainment, bars, museums, and more are definitely a big draw, but for many, there's significant appeal in the fact that not only do they have so many of those options open to explore, but they can bring their canine companions along for many of those excursions. There's a preponderance of pet acceptance in the city, and we're going to take a look at few notable examples. From pet spas to pet friendly apartments, Los Angeles is a boon to your four-legged friend. Where To Take Your Pet? There are plenty of options open. So many, in fact, that it might be best to categorize them for clarity. 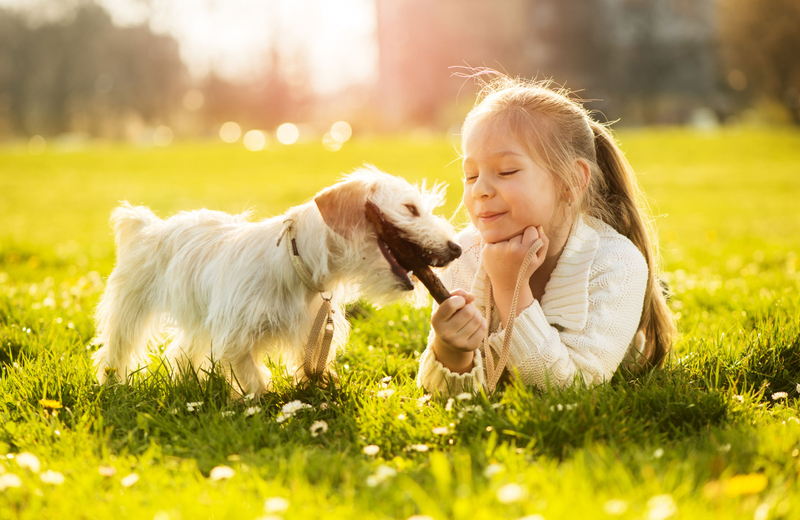 You've got your obviously pet-friendly places like grooming establishments and pet-spas, of course, but then other places where you might not expect to be able to take your pet (but still can), like eateries or certain parks. Here are a few to keep on your radar. Located on South Grand Avenue, you might first get the impression that Healthy Spot is just a run-of-the-mill pet supply store. While they certainly do sell pet supplies, they like to go beyond in their duties. The selection of pet items here is diligently researched by the staff, consisting of only the highest-quality products. Healthy Spot is also a full-service grooming location focused on offering the "highest standards of quality, safety, and personal care." They have multiple grooming stations at which your pet can feel pampered to the utmost degree (they're skilled at handling dogs of all ages and temperaments). In addition, they also run a dog daycare specifically focused on smaller dogs. If you need a place to drop your tiny pup off while you take care of other matters, this is the spot. Right in the heart of Little Tokyo, you'll find Muttropolitan. Billed as a "sophisticated, modern salon for every chic downtown pet," this pet-friendly establishment focuses its efforts in three distinct ways. It starts with premium supplies for pets: food, accessories, etc. Muttropolitan has several self-service pet washing stations for those that want to tackle the task of washing their pet on their own, but the true treat comes in the form of the full-service grooming. Muttropolitan has a staff of seasoned groomers who will preen your pup to the pinnacle of pet perfection, leaving them ready for when you tackle one of these other pet-friendly locations. If the name wasn't enough of a giveaway, this is a dog park located in DTLA's Arts District. Established in 2009, LARABA Board officials banded together to bring this community effort into fruition, and community is one of the things that the park stands for above all else. After a brief kerfuffle over whether the ADDP would have to start charging for admission, local residents and businesses donated to help keep the park running. The community spirit can also be seen in the many events held at the park, from a group cleanup and socialization session, to fun get-togethers like Happy Health Dog Day. To get in on the action yourself, you can donate to the parks continued operation efforts, earning a generous helping of respect and a spot on the donor wall of fame. Dubbbed "the park for everyone," that also includes dogs, to a degree. Dogs are allowed throughout Grand Park, provided they are on a leash. In the Event Lawn dog run, which is located near the Spring Street entrance to the park, there is an off-leash area for dogs to run about. No matter where you go in Grand Park, though, it's likely to be a treat. Grand Park is considered a representation of the City's expressiveness, diversity, and passion, along with a place for meeting and community among residents. You'll be able to check out the beautiful displays and greenery present throughout the park, see or hear some entertainment, and may even come across other pet owners just like yourself. This architecture and design themed restaurant is all about superb style and a decidedly vintage look. They've got several locations throughout the city, and the DTLA location on Wilshire Boulevard has an outdoor patio area where dogs can relax while you have a drink, and sample some cheeseburger-flavored dog treats to boot. While you're there having a fine day with your pup, you can also delight in Plan Check's array of "creative comfort food" along with a fine selection of drinks. Right on Alameda Street, you'll find Angel City Brewery. As one might expect from a trendy city spot, you'll be in for a share of delicious drinks against the backdrop of hip and happening art. You'll also be in store for quite the scene. Beyond imbibing their share of brews, frequenters of Angel City Brewery can be found indulging in the free board games and lounging about with their pets in tow. The Brewery has a very pet-friendly policy, so your little pal can tag along while you check this spot out. To take care of all kinds of assorted dog-centric needs, South Park Doggie DTLA is one of the prime locations. They handle daycare, boarding, even training. The "Doggie Bus" will pick up and drop off from DTLA residential buildings, so if you need to get your pooch to daycare but might not have the time to swing by, you're still covered. It's a cage-free daycare and boarding service as well, so your pet has the chance to roam, interact, and receive real attention from the veteran staff that work at South Park. They've recently expanded their facilities as well, so they're now more accommodating and run a live YouTube webcam channel so you can peer in on the goings-on while you're away doing what you need to do. There are few options that rival Eighth & Grand. This contemporary rental property provides a home that's hard to leave for both you and your pet. It's located near much of what DTLA has to offer in terms of entertainment, dining, and more. The residences are accommodating, providing plenty of room and comfort. Even the building amenities include a little something for your four-legged friend, in the form of a pet washing and grooming area. Come see how Eighth & Grand distinguishes itself from the pack—experience the best in pet-friendly downtown living today.